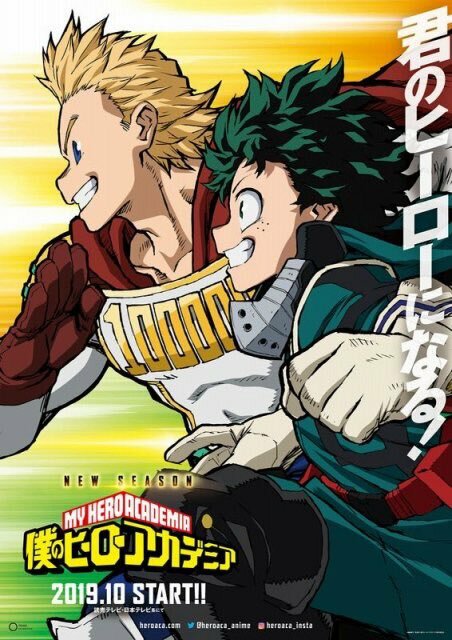 The 4th season of the TV anime show adaptation of Kōhei Horikoshi‘s My Hero Academia (Boku no Hīrō Akademia) manga series will premiere October 2019. The anime series premiere date was revealed along with the shows new key. Which you can see below.